Search For "Shopping & Stores" Companies in Morris Plains, New Jersey - Click Here Now! Since 1993, We Have Been Providing Our Customers With Quality Pianos, Affordable Prices And The Highest Level Of Customer Service. With 70 Years Of Combined Experience In The Piano Industry, Our Staff Will Assist You In Selecting The Piano That Is Right For You And Your Family. We Offer “starter” Instruments To Concert Quality Grand Pianos, Plus The Full Line Of Award Winning Clavinova Digital Pianos And Disklavier Player Pianos. Our Wide Selection Will Assure You Of Finding The Best Value For Your Money. 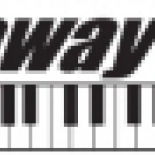 Rockaway Music Pianos NJ in Morris Plains is a company that specializes in Department Stores. Our records show it was established in New Jersey.